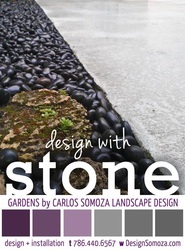 Carlos Somoza is a design consultant based in Miami, Florida and the principal of Carlos Somoza Landscape Design, a landscape and garden design studio specializing in the design of residential gardens and outdoor spaces. 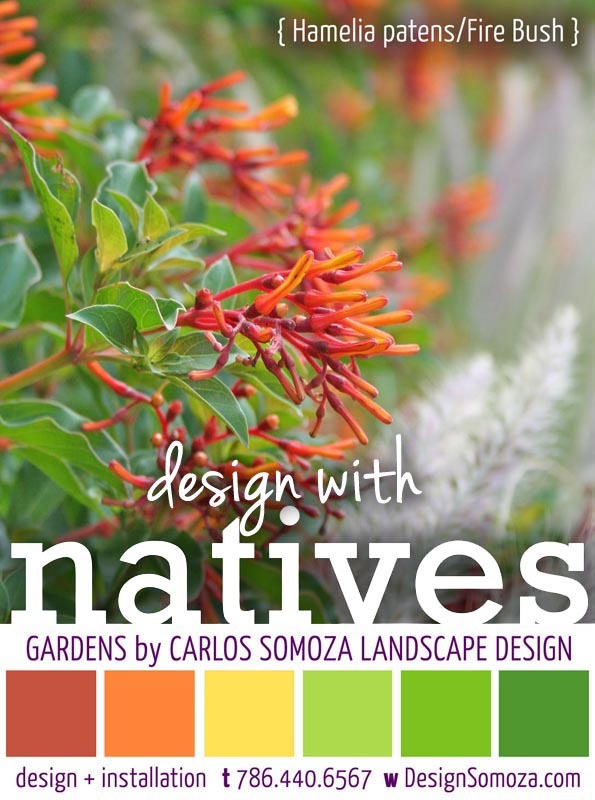 With over 18 years of experience practicing in the Mid Atlantic and Southeastern United States, Carlos’s experience includes the design and implementation of estate gardens in Washington, DC, Southampton, New York and Westchester County, New York. 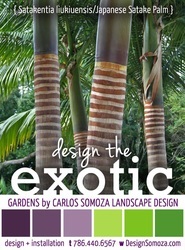 His most recent commissions include private residences in Coconut Grove, Pinecrest, and Coral Gables, Florida. He is presently a consultant designer for a boutique resort in Cayo Largo, Puerto Rico and a civic plaza in downtown Coconut Grove. 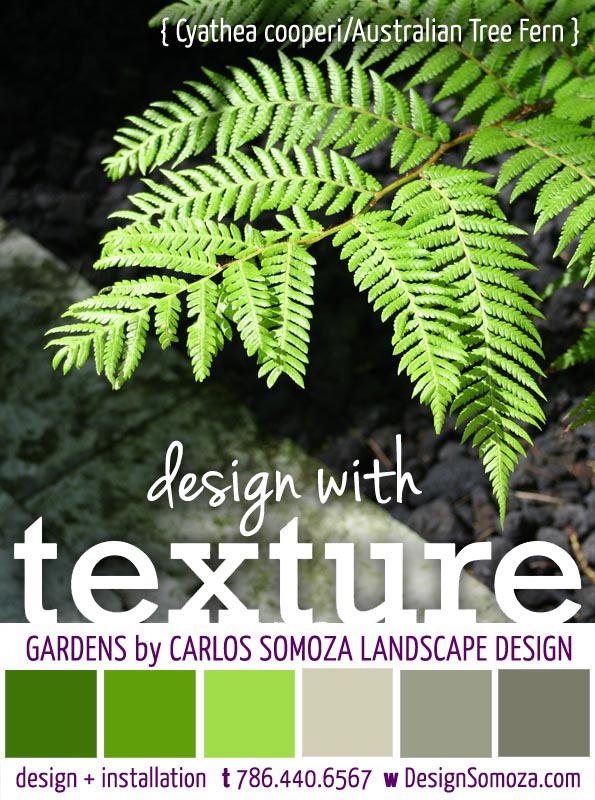 A native Floridian, Carlos Somoza grew up along the tree-lined streets of Coral Gables, Florida, and attended the University of Florida’s College of Architecture, School of Landscape Architecture. 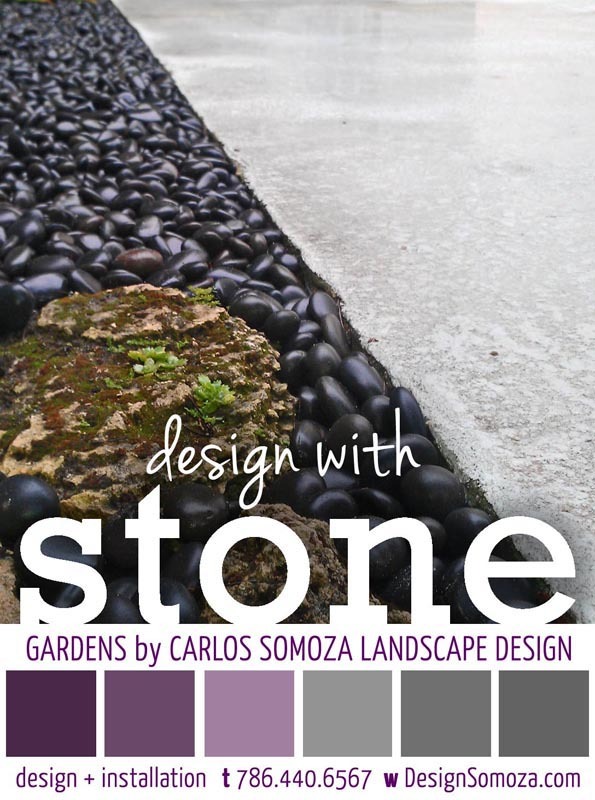 Carlos returned to South Florida after completing a career-defining apprenticeship at the award winning landscape architecture firm Oehme, van Sweden and Associates. 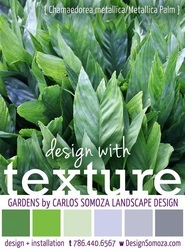 During his apprenticeship, Carlos had the opportunity to collaborate on several distinctive projects including the master plan, design and construction of a 25-acre equestrian estate, the renovation for the grounds of a historic Country Place Era residence in Southampton, and the design and construction documentation for Chicago Botanic Garden’s Trellis Bridge, an arching, curving pedestrian deck that spans 300 feet over one of the garden’s lake systems. Carlos is an avid photographer and frequently visits private estates and specialty plant nurseries for design inspiration and photography opportunities. His photos have been published in national media publications including American Airlines magazine, Ocean Drive and the Miami Herald. 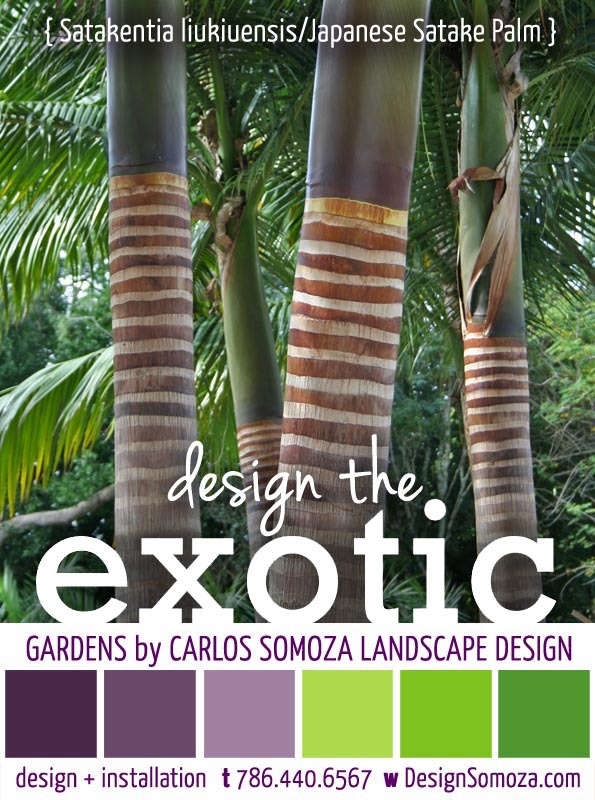 Carlos recently presented a five-week lecture course, Design Principles for South Florida Gardens, at Fairchild Tropical Botanic Garden in Coral Gables, Florida. 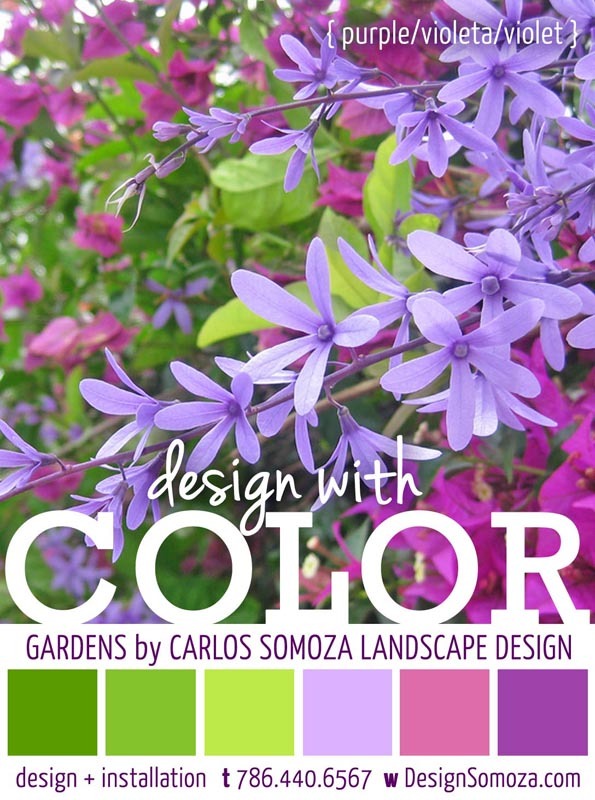 Our design studio collaborates with licensed project architects, landscape architects and general contractors to further develop the design of architectural garden elements for outdoor space designs. 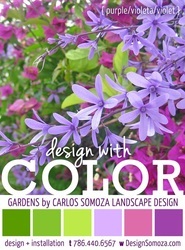 Our studio provides landscape design services in Miami-Dade County and the State of Florida. 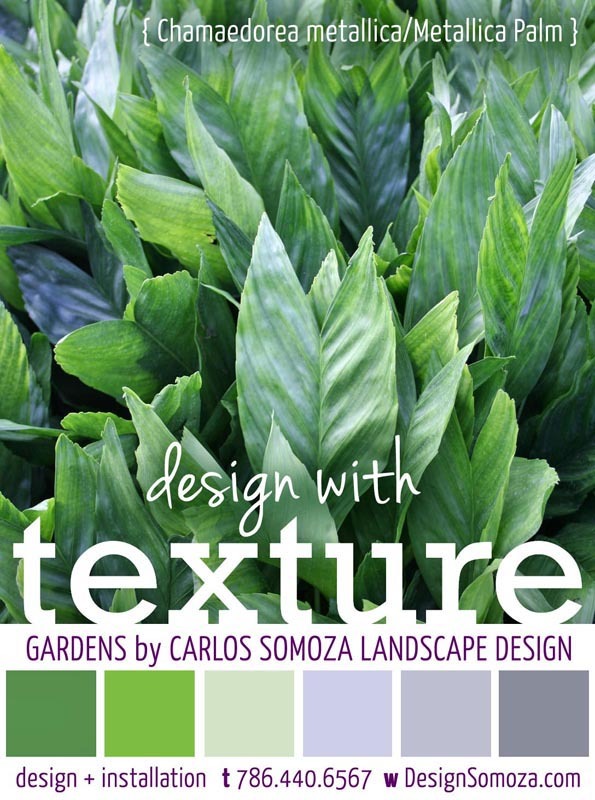 Carlos Somoza, is a registered landscape architect in the State of Maryland (License #3313) and is capable of providing landscape architecture services in the State of Maryland and the District of Columbia. Carlos is not a registered landscape architect in the State of Florida.